Another hot ans very windy day. 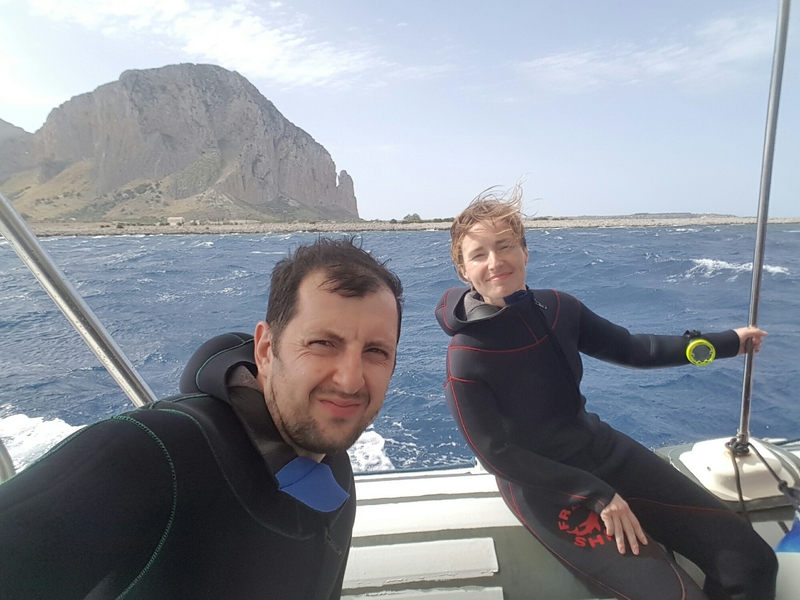 Monika and I decided to go and check out some of the local dive sites while Sonja and Rob went on a sightseeing trip a place to Mount Eric. We showed up at Under Hundred scuba dive shop st 8.30. 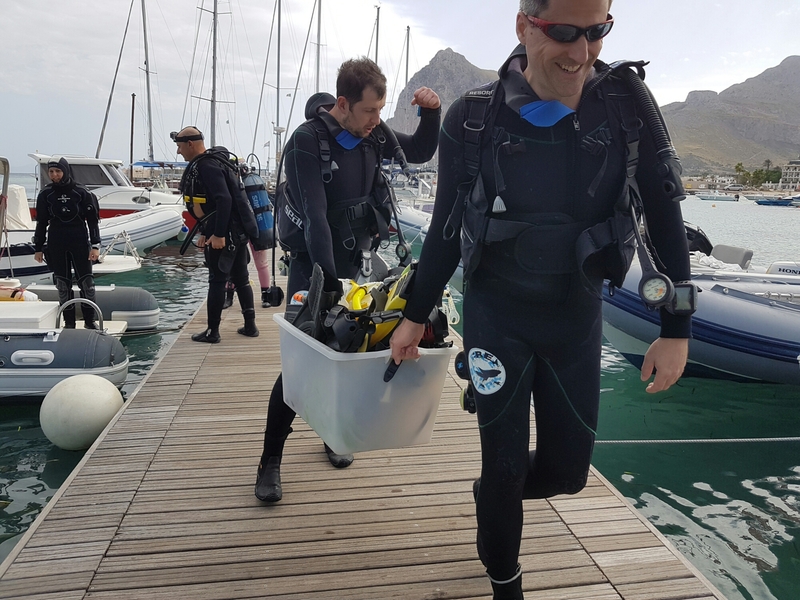 The plan was to do 2 dives but as the day developed we only managed one (due to very strong wind and choppy sea). The dive site for the morning was an underwater cave some 15 min on the boat from the base called Grotta Perciata. We started with getting to a 5m plateau, then going by a wall to max depth of 21m. From there we took to the cave, which was at 10m depth. It wasn’t really a fully enclosed cave as it was partially opened from the top. That gave a great view a sun was dropping in throuh the openings in the top. 48min total dive time – I was pretty happy with it. As I mentioned before second dive didnt happen due to the wind. We actually took off from the base but after going to few spots in search for acceptable conditions the leader decided to cancel. It was still nice to experience a rough sea on a small boat. Everyone had a good time and if time and weather will allow we might come back. Tomorrow we are back on the rock.